New road signs will show speed limits on rural roads, but they will also leave it up to drivers to determine and judge what speed to drive at (under that limit) on that road, the Minister for Transport Paschal Donohue has said. Speaking on RTE radio, he said that currently narrow local roads, with limits of 80km/hour mean, is creating an environment people think it is acceptable to travel at 80km/hour as opposed to below this speed. Local authorities, he said, will be able to review the speed limits on such roads and can replace the signs with a new sign – a white circle with a black diagonal stripped sign – that will indicate to drivers that they should travel below the speed limit for that road. The new signage for rural roads, he said, will mean consistency of speed limits and this consistency of speed limits will ensure safer roads. It will also bring Ireland in line with the signage in other European countries, he said. He said the new regulations are a consequence of the amount of roads in Ireland, with different road circumstances, and the limits and signage should respect that. “We have 99,000km of roads within the country, he said, that is 2.5 times the European average.” For some roads, given their circumstances, their speed limits should be reviewed, he said. Speed limits of 100km/h on roads wider than 7m. 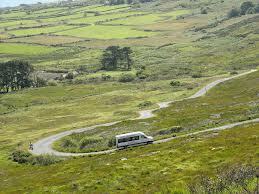 Minister Donohoe also said that rural roads with high speed limits will be reviewed within the next two years.